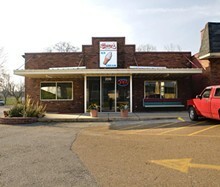 Since 1954 this Valley Park restaurant has been serving superb fried chicken, burgers and ice cream with the sincere friendliness of a true neighborhood joint. The chicken is the star, pressure-fried and absolutely delicious, with thin, crisp breading and tender meat. Don't overlook the burgers, though. Stack the thin patties two or three high and pair with fries or onion rings for a satisfying meal. Fried cod and shrimp are also available. 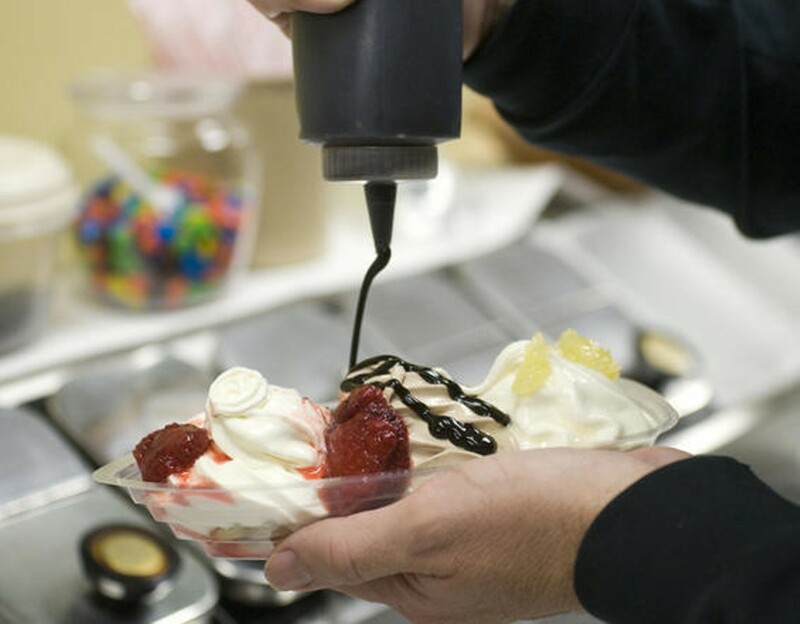 Ice cream is soft-serve and available in vanilla, chocolate or a combo of the two, with plenty of fixings to customize your cup, cone or concrete. Cash or check only! 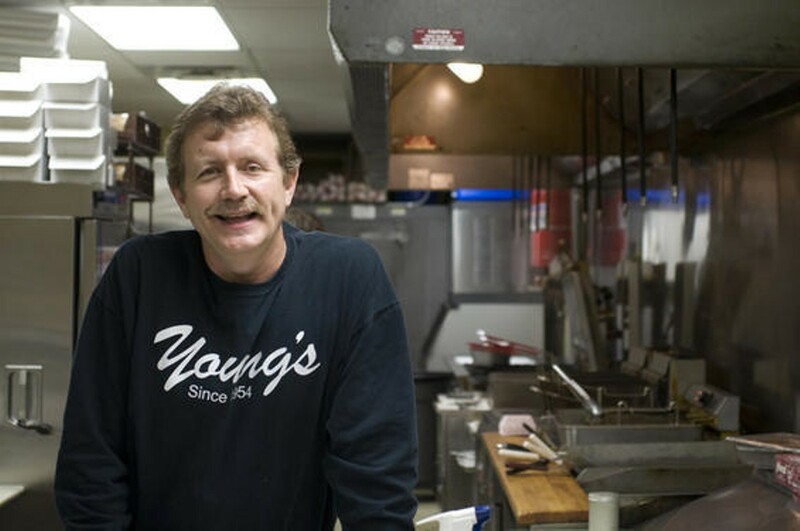 Fry Me to the Moon: Go to Young's in Valley Park for the fried chicken. 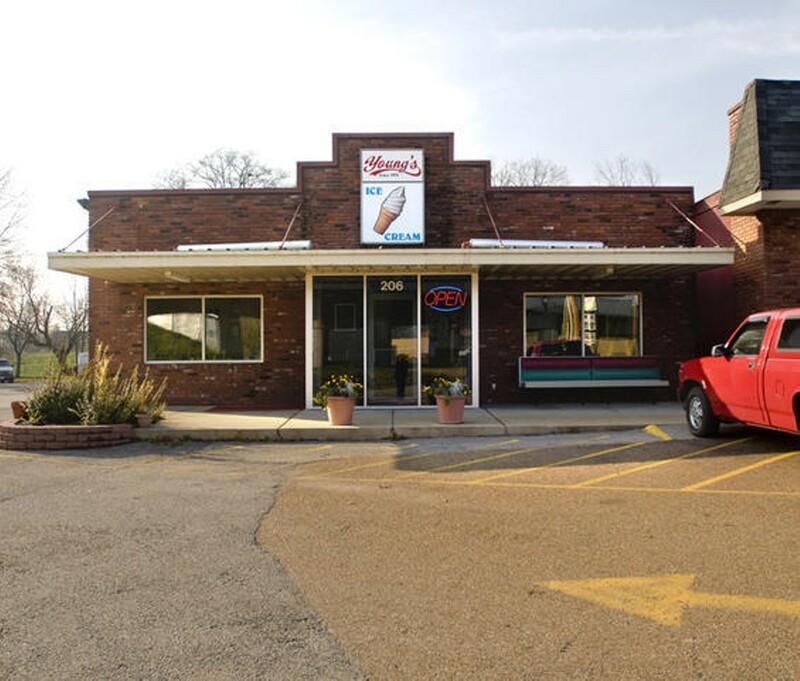 Stay for the burgers and the ice cream.